In October 2017, Director Carl Morphew will be joining Team Coolair 2017 in a 450km cycle from Saigon, Vietnam to Ankor Wat, Cambodia. The team are aiming to raise £50,000 for Challenge Cancer UK. Challenge Cancer UK supports those with, and those affected by cancer. 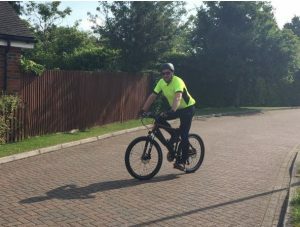 The 6 day cycle ride not only requires Carl to train to cycle long distances, but also to manage his Diabetes effectively. If you would like to support Carl and Challenge Cancer, please donate via his JustGiving page. We wish Carl the best of luck on this adventure.